But Where can We Play, Miss? The latest blow to New Zealand kids and their learning is that our playgrounds are under threat. 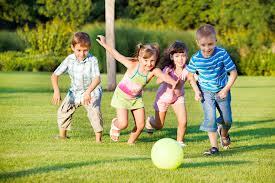 In fact, play is so very important to child development that the United Nations High Commission for Human Rights lists play as a right of every child. Despite this, in parts of New Zealand children will soon be lucky to have somewhere to run, jump and adventure at break time. I do wonder what our schools will look like in ten, fifteen or twenty years’ time if these changes continue unchecked. The problem for city schools is a thorny one. Even more worrying is the widespread removal of play time in USA schools in order to “maximise instructional time” in preparation for high stakes standardised testing”. In my school, as the principal, I was only permitted by my superintendent to allow the children 15 minutes free play recess each day. This came close to child abuse in my view. I have addressed this a couple of times in my blog. Australia and NZ need to be aware of the union tended consequences of GERM. Pat, I am assuming “union tended” = unintended?? You make a good point that is indeed even more worrying. Teaching to the test and drilling kids is no way to encourage learning, experimentation, innovation and well-rounded people. GERM is truly worrying.